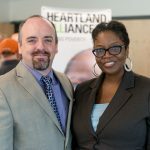 Gerard Campbell has been working as our Wisconsin Property Manager for Heartland Housing for half a decade now. He believes in the transformational power of a home, and has dedicated his life to ensuring that for others. 1. What got you into this work? I’ve been driven to help people who are vulnerable housed for a very long time now. When I was 9 or 10 years old, we lived in a divided community in Ireland. I was one of a few families in my hometown that was burned out of our homes because of our beliefs. We were forced out of town, and we were left homeless for some time. Ever since, I’ve been determined to live and work for social justice. 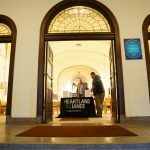 I used to work for an agency that had been working with and learning from Heartland Alliance. There was a whole delegation of nonprofit officials and government leaders who were trying to find solutions for a growing problem in our city – homelessness and mental health issues. We came down to Chicago looking to develop some new programs to help individuals experiencing homelessness, and Heartland Alliance inspired all of us. 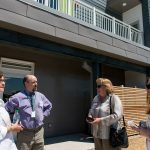 They’re permanent supportive housing models provided opportunities for people to grow and find self-sufficiency. A few years later, when it was time to start looking to broaden my horizons, I came directly here. 2. Why is this work important to the community, and to the people we serve? 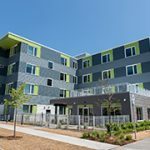 There’s just such a high need in Madison and Milwaukee for affordable housing. The cost of living is high and rising, and I think there’s an ongoing struggle for folks living week to week and month to month.There’s just not as much opportunity to live in an affordable place. That roof over your head provides so much more than just shelter – it provides opportunity, safety, and a better outlook on life. In the long run, the housing we develop creates so much more for the entire community. It creates hope. 3. Was there a moment where you KNEW you were in a job that was right for you? Those children had spent so much time living sporadically that it seemed normal to them. The mom went on to find work and become independent, and they ended up finding some real stability. That’s what permanent housing should be. I enjoy handing off the keys. I’ve been with Heartland Housing for five years now, and I still get so excited when I get to hand over the keys to a newly housed person or family. I know how important it is for these folks, to have a chance to call a place home. With all of the hours I put in, all of the hard work that comes with the job – this is what it’s all about. 5. How can others help your work? It really does take a village. If we aren’t in this together and pulling in the same direction, we aren’t going to be successful. Supportive housing is really just one part of the puzzle to end poverty and provide stability. All community members are needed to make this successful.